1. In a medium bowl, stir together the olive oil, ranch dressing, Worcestershire sauce, rosemary, lemon juice, white vinegar and pepper. Let stand for 5 minutes. Place chicken in the bowl, and stir to coat with the marinade. Cover and refrigerate for at least 30 minutes you can marinade overnight. NOTE - you can also do these in the oven at 350 for about 20 minutes. I have also marinated my veggies in this as well and they turned out so good. You don't have to put peppers and onions on the kabobs you can add your favourite veggies as well as try some bacon just trust me on the bacon. This is a great marinade for chicken breasts as well. Don't limit yourself have fun with you cooking. 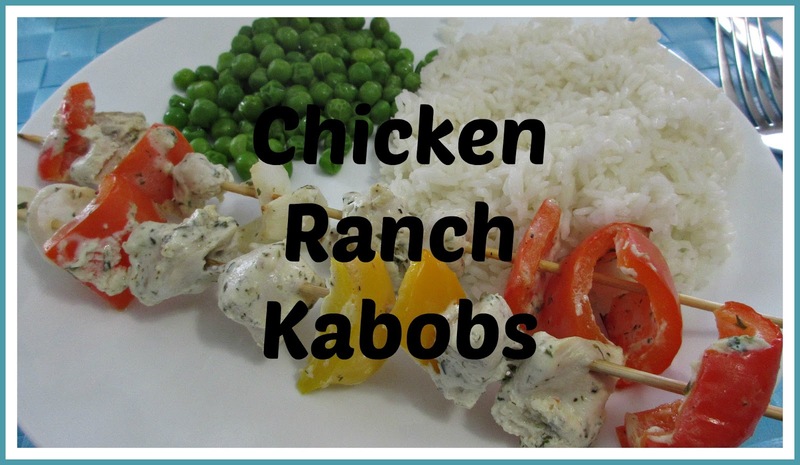 Do you make your own Kabobs at home and if so do you use Metal or Wooden skewers?